Welcome at the yorkshire terrier breed Rada's Victory, located in a lush and green area on a 25 kilometres distance from Amsterdam, called "Het Gooi"
We are a small breeder/exibitor with the highest quality and health expectations. 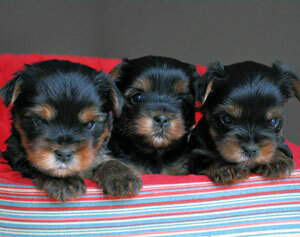 We consider our Yorkies as familiy members and try to give them all the best. They are raised with love and walk freely at home. We wish everyone a sweet, balanced and healty dog. Once you have such a dog it will appear a source of happiness and an excellent familymember. A happy companion! We wish you a pleasant stay on my website and perhaps we will meet in the future! 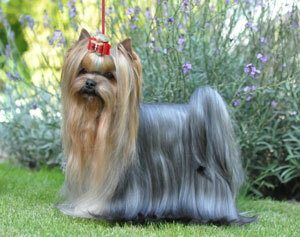 A small yorkie breed, in focus of the highest breeding standards. 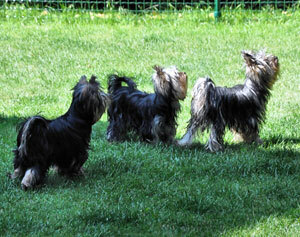 Our doggies raised with love and walk freely at home. By incorporating the best european and american bloodlines I have bread my own champion showdogs, establisihing the quality of my breed. Breeding is not my sole purpose, but rather a part of the process to attain show quality and a healthy dog with good character to exhibit.